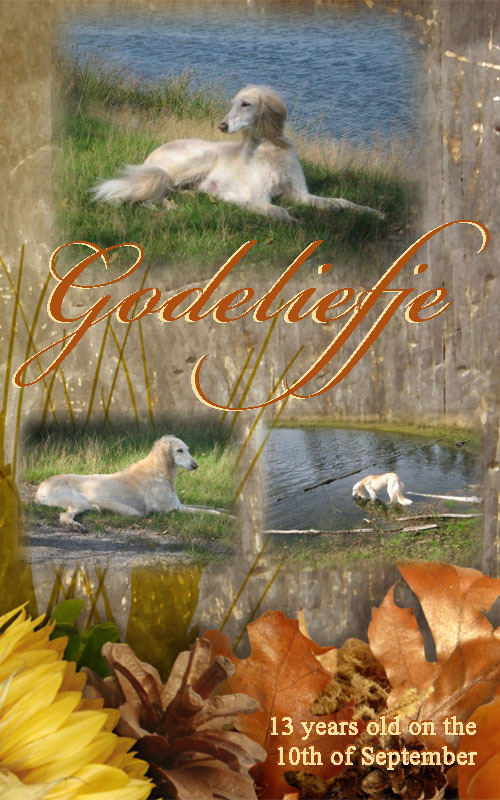 Since today I have two veterans 'Godeliefje' a very old lady and 'Gentle' her old daughter. They are loving eachother very, very much! 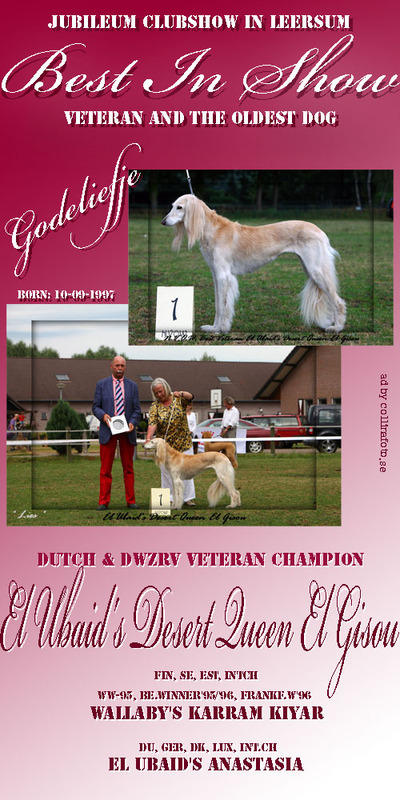 The Dutch Clubchampionshow 2010, a Jubilee after 75 years. 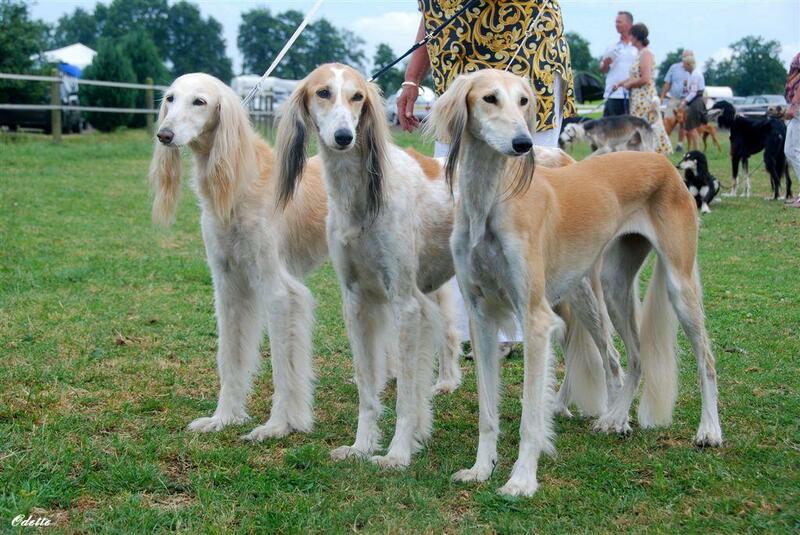 There were 62 Salukis, the first time that there were more Salukis than ever and even more than Afghan Hounds. 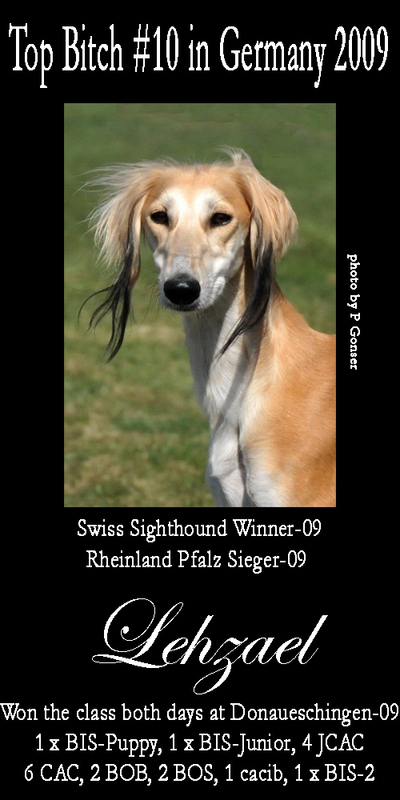 The results of my 4 Salukis(2 in co-ownership) at the show are excellent and their present relatives as well. It was the best day I ever had on a show. 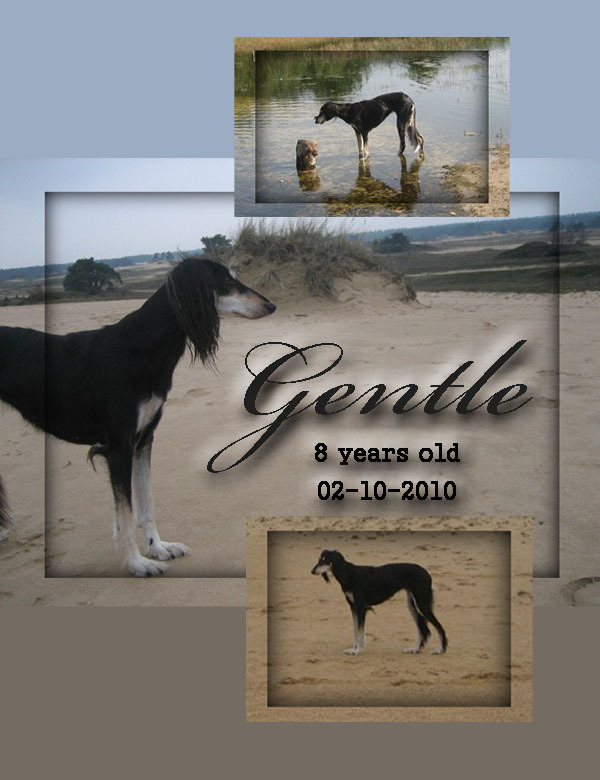 Desert Queen 'Godeliefje' of almost 13 years was BOB-veteran and BIS-veteran. Her daughter Gentle was second in the Breedersclass. Her other daughter Galifa was second in the Championclass. Her grandson Thor was first in the Breedersclass. Her granddaughter Amber was Excellent in the Openclass. 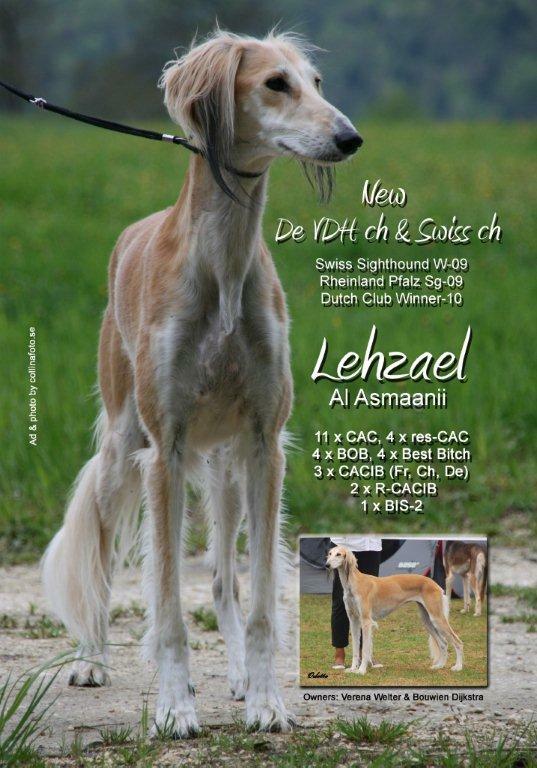 Galifa's daughter Lehzael was Best of the all Salukis with the title Dutch Clubchampion 2010.